It’s likely that many Americans who have been buying olive oil for decades have never tasted the real thing. In fact, it’s likely that many of those who bought and used fake or compromised olive oils would reject the real thing because it tastes odd to them. Olive racketeering has been going on for quite a while to some extent. The Romans of B.C. ages had to clamp down on it. But it is bigger and more sophisticated now than ever. Genuine olive oil is time consuming to produce and demands higher prices than most other edible oils. Yet olive oil is easy to adulterate and sell as the real thing. Being able to buy authentic extra virgin olive oil is all the more important because it is a superfood. Among other good things, it contains a miracle ingredient known as oleuropein, which has anticancer, pro-mitochondrial, antibiotic, and anti-Alzheimer’s properties. It also contains polyphenols and antioxidants with anti-inflammatory benefits. It is a mainstay of the ketogenic diet. Some claim that since olive oil scam exposures the olive oil industry has cleaned its act somewhat. After explaining how olive oil frauds work and their recent history, there will be information provided of what makes a perfect olive oil and how you can determine if it is truly as advertised. Did you know that the Mafia was making a small fortune selling fake olive oil or that olive oil is a $1.5 billion dollar industry in the United States alone? In fact, olive oil has been Europe’s most adulterated agricultural product. Other scammers have jumped into olive oil fraud for profit. Considering the ease of faking it and the profit margin between massive amounts of fraudulent olive oil sold at higher prices demanded by the real thing leaves an opening the unscrupulous could exploit. According to Tom Mueller, investigative journalist author of the book Extra Virginity: The Sublime and Scandalous World of Olive Oil, the rise of olive olive and other EU food fraud corresponds to the rise of the Italian Mafia. And it’s not just olive oil’s taste that’s defrauded. They could be dangerous to human health. It’s assumed that Profacani made more money off other outright illegal operations than anything he did with olive oil. It’s not known how much he made from dealing adulterated olive oil, because his olive oil operations served as a legitimate front for his other nefarious “business” dealings. However, there have been fortunes created by olive oil scammers whether mafioso or not. This might be the most famous example on record, detailed by Tom Mueller’s investigative prowess. But who knows what has happened “off the record”? The olive oil refinery Riolio, formed and operated by Domenico Ribatti and his brothers in 1950, rose to become the world’s largest dealer in bulk olive oil by 1985. But Italian criminal investigators spotted some discrepancies circa 1991-2 that led to Ribatti’s arrest in 1993. He had managed to cheaply import low grade hazelnut and other vegetable oils from different regions around the Mediterranean. The labels and shipping records would be changed to read “Greek olive oil” by the time the ships reached Italian ports. Those oils were heavily mixed with some olive oil at Riolio. Then 75 percent was shipped to other olive oil distributors while the remaining 25 percent was retailed as their own olive oil. The list of those international olive oil companies that purchased adulterated olive oil from the Ribatti’s Riolio included Bertolli, Nestle, Unilever, Oleifici Fasanesi, Sasso, Filippo Berio, and Carapelli. Domenico Ribatti managed to plea bargain a mere 13 month prison sentence. But his infractions compelled the olive oil trade organization Assitol to force Ribatti’s resignation from their organization, according to Leonardo Colavita, the head of Assitol and owner of olive oil company Colavita, which did not buy adulterated olive oil from Ribatti’s Riolio. This technique for producing fraudulent olive oils persists today, though perhaps not on as broad a scale as Domenico Ribatti’s, who had laboratories producing additives to obfuscate the oil mixtures’ identities from chemical analysis. Chemical analysis involves 20 tests to determine acidity levels and other chemical components. Any oil labeled “Extra Virgin” has to show just under one percent acidity (.8). The oil also has to undergo sensory examinations (taste, smell, and texture) from a panel of eight experts who are practiced connoisseurs. According to oliveoillovers.com, a site that offers imported olive oils, extra virgin is the freshly-mechanically squeezed juice of olive fruits. It must be totally unprocessed and kept below 75 degrees Fahrenheit during the mechanical extraction process. No heating or hexane chemicals can be used for extraction, and of course partially hydrogenating, the practice used for cheaper vegetable oils that are ubiquitous in processed foods, is a huge no-no. Processing should begin close to harvesting the olives without twigs and leaves mixed in. Idealy that would be close to 48 hours after harvesting. This is why small family owned olive groves and oil producing mills are ideal. By the way, the olives don’t necessarily have to be stone ground. Usually they’re not anymore. For an oil to be labeled extra virgin, it must meet strict chemical criteria as defined by the International Olive Oil Council (IOOC), and must also have perfect flavor and aroma as determined by a certified tasting panel. 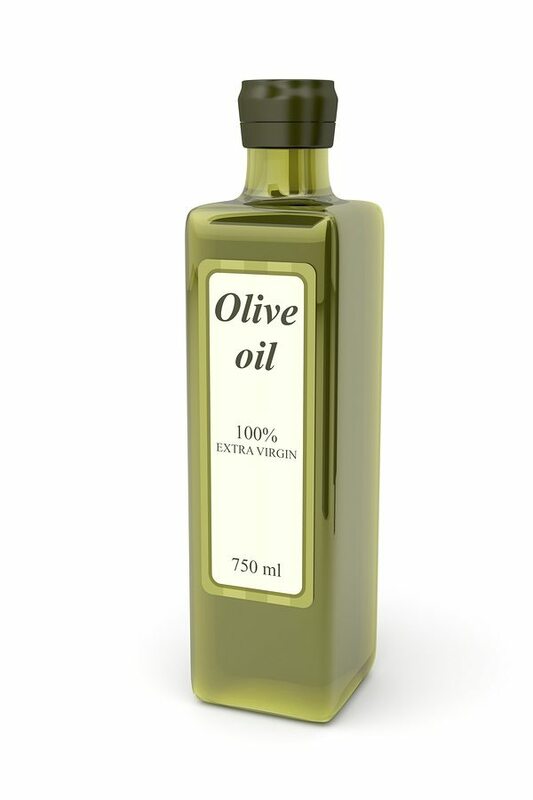 For maximum taste enjoyment, you should buy olive oil in smaller quantities that are contained in dark glass bottles. Lighting can make pure olive oils rancid over time. Hot storage areas can harm olive oil purity as well. Simply avoid olive oils labeled pure, light, and especially olive pomace-oil. Extra Virgin is the label to see for starters. Look for the IOOC stamp or seal. Check out the Best Used By date (BUB). The standard is 24 months from the date of packaging. An even better date is the harvesting date. The best flavor is found with 12 months of harvesting, which is during the fall months. Keep the oil tightly sealed in a cool dark place after purchasing. Taste should be fruity or mildly peppery, not pungeant or too bitter with a hint of fresh olives. Mildly bitter is okay. The highly touted refrigeratian test is bogus. A perfect EVOO may or may not gel in the fridge.